The sleek modern bluetooth mirror from HIB would make an excellent addition to any contempoary bathroom with its many unique features. The quality Portrait steam free mirror from HIB features LED back-lit illumination, Bluetooth connectivity & integrated stereo speakers. Play music or listen to internet radio from your smart phone or other bluetooth device. The Vibe Bluetooth LED mirror takes singing in the shower to a whole new level. Simply connect your phone/music device to the mirror using bluetooth and bring your bathroom to life with music. 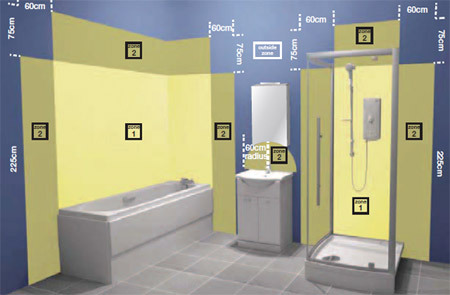 It is perfect for any modern household looking for a unique and innovative feel in the bathroom. 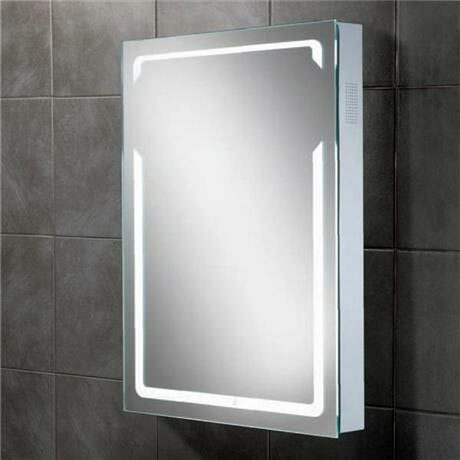 This incredible mirror is safe for use in bathrooms within the boundaries specified below. Introducing our new bluetooth mirrors. Play music or listen to internet radio from your smart phone or other Bluetooth devices*. Yes. It's compatible with any phone with bluetooth function and with any other bluetooth device.